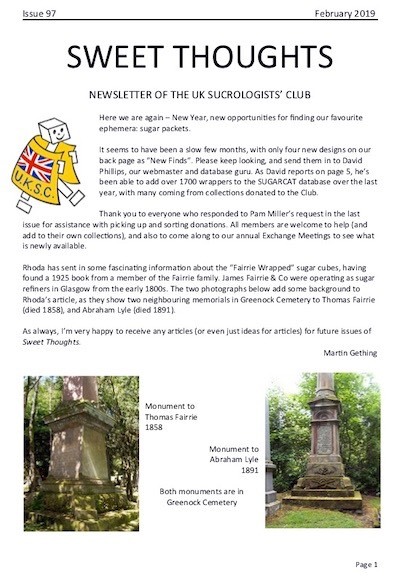 The UK Sucrologists Club is the first and only sugar packet collector's club in the UK. The Club is run by fellow sugar wrapper collectors on a voluntary basis. At present we have members in the U.K., Europe, Australia and the U.S.A.